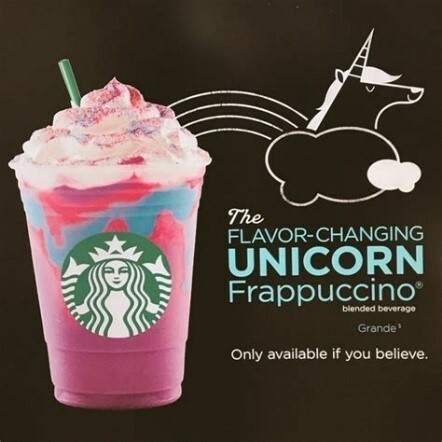 The Unicorn Frappuccino may look appealing when the greatest interaction one has with it is seeing the bright colors fill a clear Starbucks cup but as soon as the electric pink, purple, and blue taste hits your tongue, you’ll thank your parents for not letting you consume battery acid. Dying isn’t too different compared to the sensation you’ll feel when you consume this sugary catastrophe. Thankfully, this item was limited edition and can no longer poison innocent coffee drinkers. Hot chocolate may seem like a safe choice for someone to purchase, especially if they don’t appreciate coffee however one of the worst choices one could make is buying hot chocolate from Starbucks, unless they like the taste of carboard of course. If you’re a fan of consistency, this drink isn’t for you. One day it may taste bitter but the next day it might may be unbearably awful. Different baristas do make different drinks in different ways but there is no acceptable reason for such as large discrepancy. No matter the barista the mocha just seems to sit at the bottom of the cup and never actually be thoroughly mixed with the milk. Chia seeds may be good in smoothies or acai bowls but that doesn’t give Starbucks the right to destroy the appetites of their customers by adding them to their Halloween edition Frappuccino. Usually people don’t appreciate an unexpected crunch in their drinks, unless its chocolate chips or Oreos. Although I’d hate to break it to you, chia seeds just don’t have the same effect as candy, unfortunately it looks like you’ll have to save your calories elsewhere this year. Dear Starbucks, why did you think consuming a drink named after glass would appeal to the masses? Usually consuming glass isn’t associated with positive emotions. Yours sincerely, a concerned American. In addition, every person you ask is likely to say they hated this drink if they tried it. Trust me, I’m doing everyone favor by saying this, “drink with subtle hints of peach,” should stay out of your future. When someone goes to Starbucks with their dog they offer to give them “a pup cup,” which consists of purely whipped cream. Which is essentially what a Vanilla Bean Frappuccino tastes like. If you go Starbucks and order a Frappuccino, I hope you don’t aim for it not to taste like coffee but if you do, this is the drink for you. Although be prepared for its monotone taste.